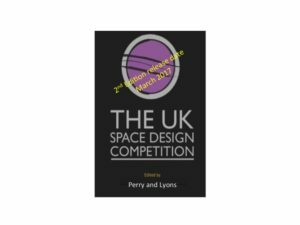 UK Space Design Competition: A journey has been produced as a publication that will be useful not only to any student who is considering taking part in the UK Space Design Competition or Galactic Challenge but also to their teachers and to the volunteer technical advisors, Chief Executive Officers (CEOs) and judges. As the book has developed, we envision a wider audience of anyone who is interested in space, education or ways of engaging with young people. To this end we have included selected chapters on issues in science that we think might be of wider interest. Each of the chapters in this book represents the personal view of the writer and is not intended to reflect the views of the organisation or indeed of the editors. They do, however, give an idea of the wide range of people, personalities and expertise associated with the competition and the areas of space, science and education in general. We are aiming at a diverse audience but the UKSDC celebrates diversity by bringing together students from a variety of educational and social backgrounds to compete in an enjoyable, challenging competition that requires teamwork and multi-disciplinary skills.